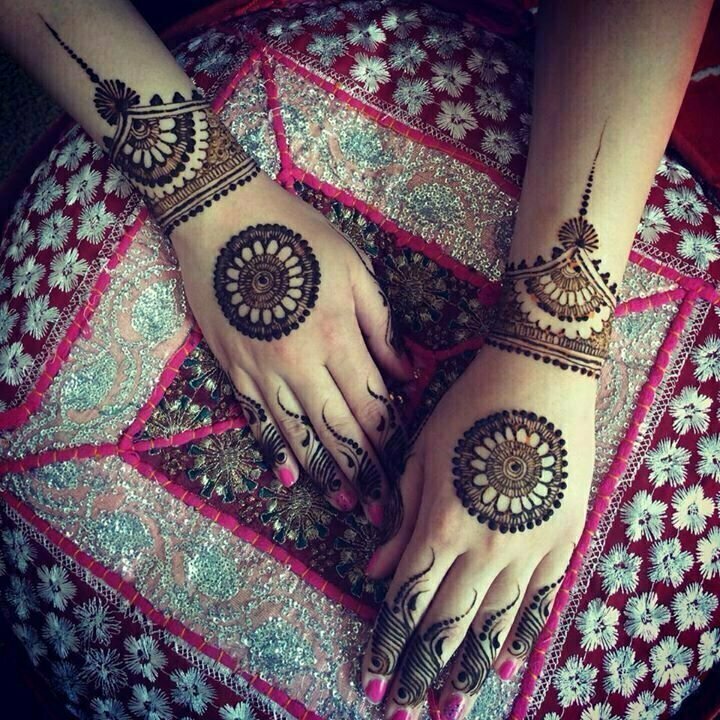 Eid al-Fitr is an important religious holiday celebrated in Pakistan just like other Muslim countries. 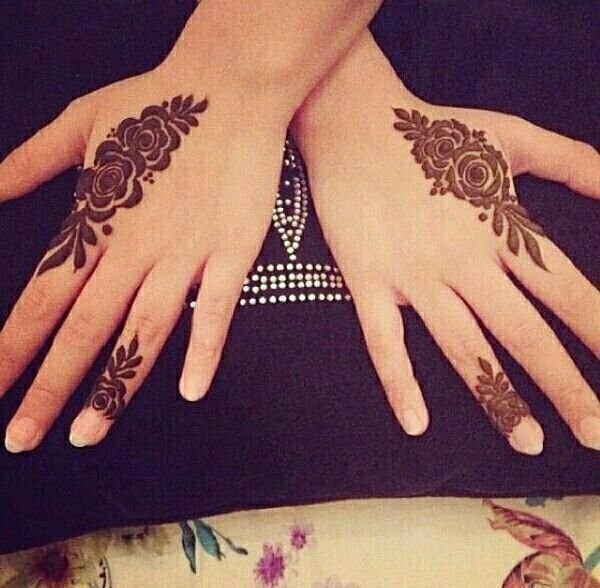 It is the day that marks the end of Ramadan. 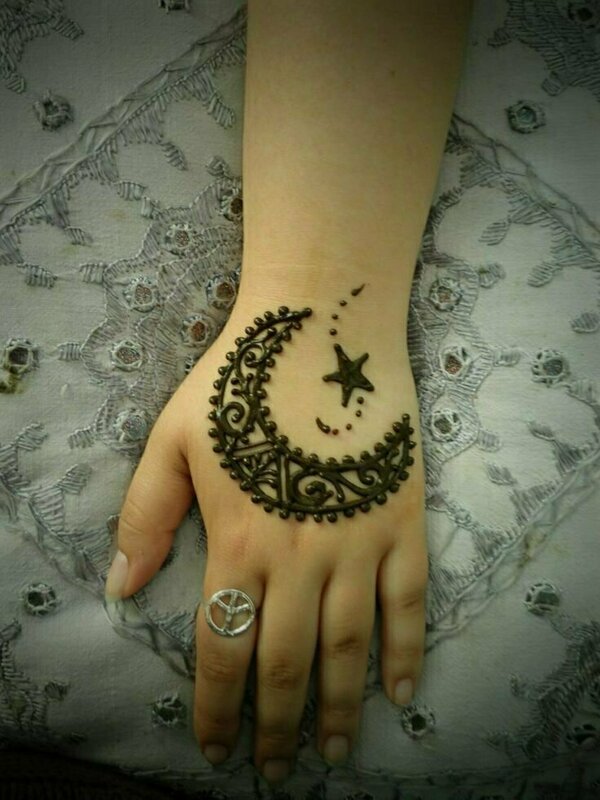 It is the single day during which the Muslims are not allowed to fast. 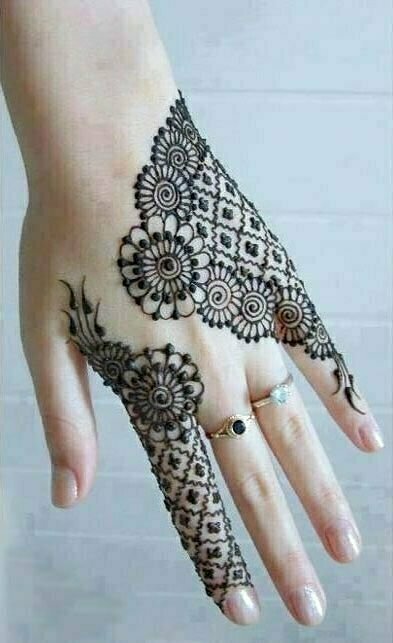 It is one of the most critical events in the Muslim world. 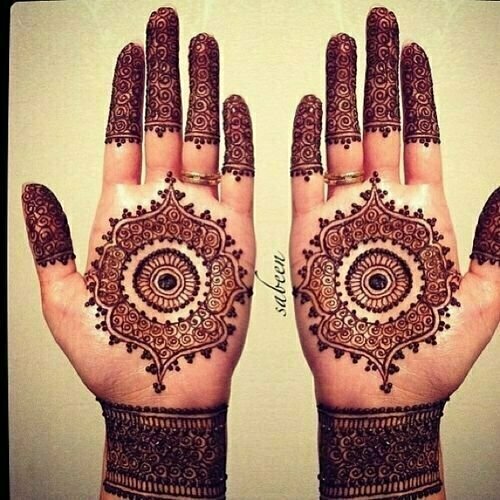 Eid is close to coming and all getting ready for one of the most religious days in Islam. 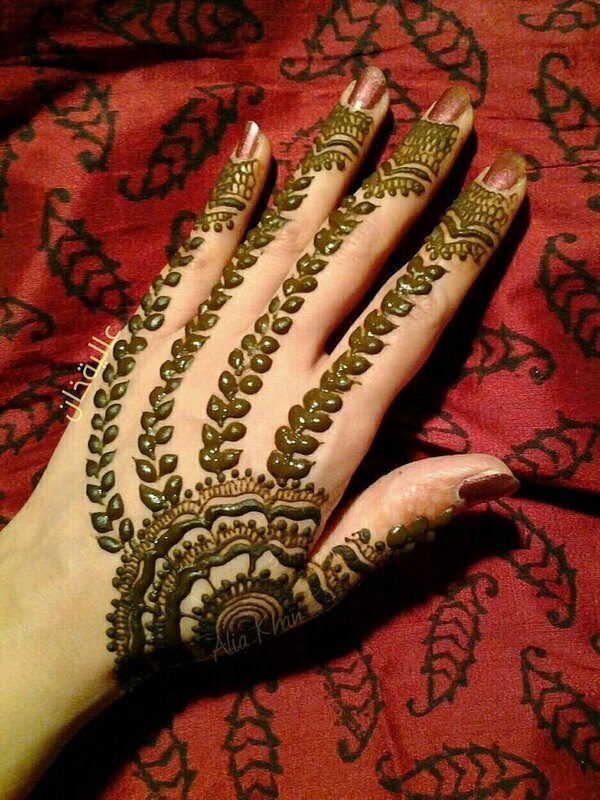 Henna or Mehndi is said to be one of the most integral parts of almost every female life. 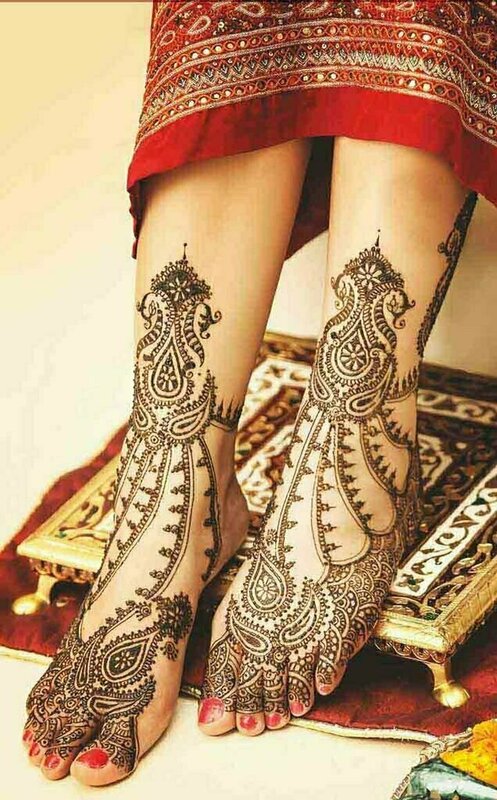 When it comes to Asian or women of the sub-continent, then it is the must have an element of fashion. 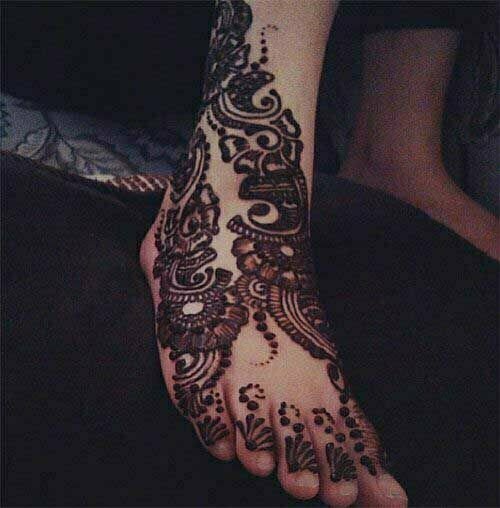 Without it, the women cannot think of going to any function or party. 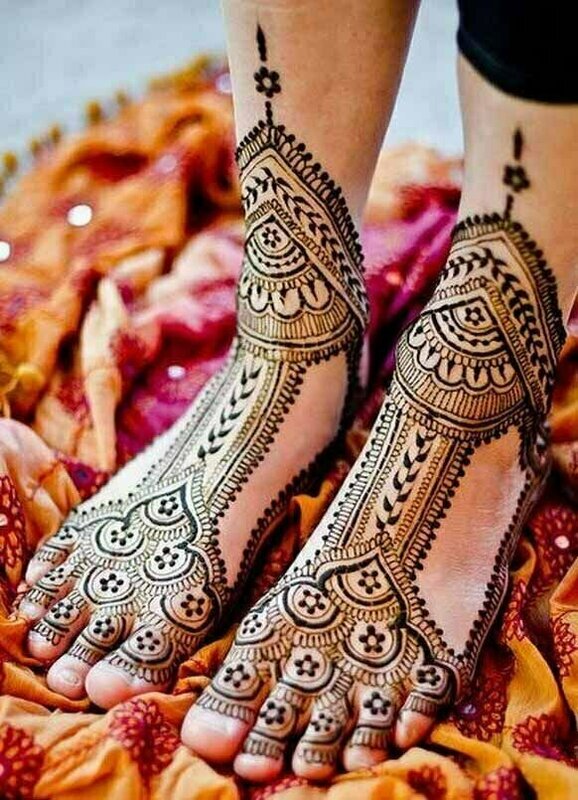 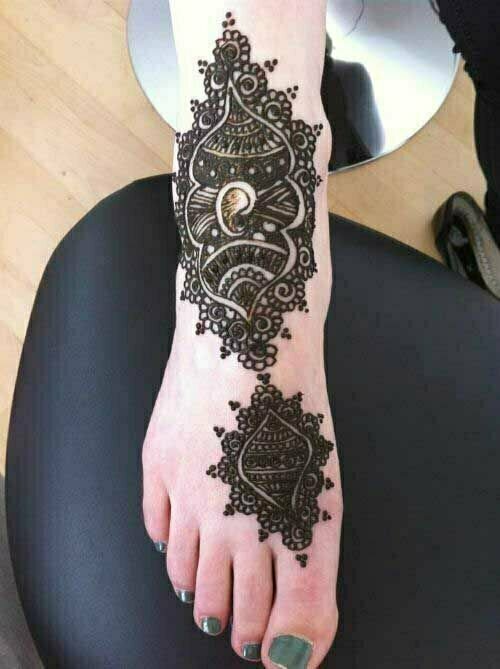 Pakistan, Indian and most of the Arabic countries are three places where it is custom to use henna on most of the regional, cultural and religious events. 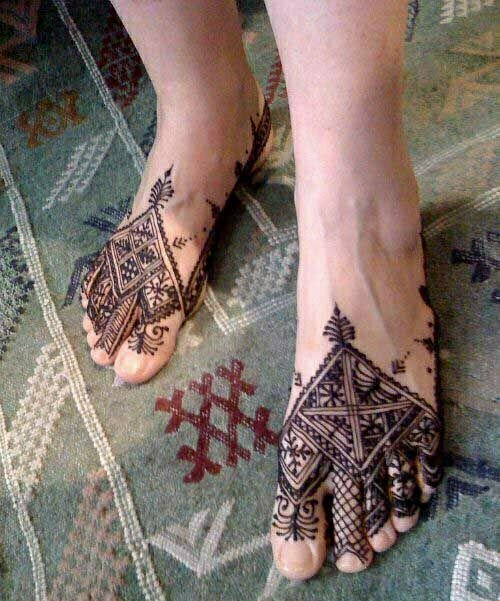 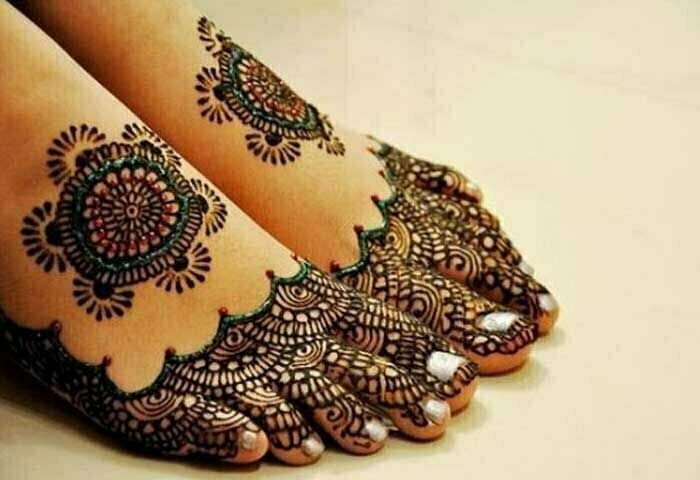 Indo-Pak and Arabic women like to apply henna on hands and feet on the occasion of Eid. 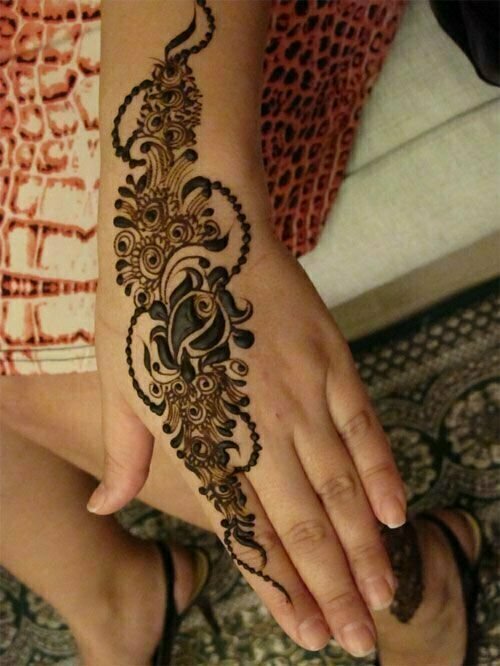 Kids also take part in this activity, and moms like to decorate the little hands of an angel by using henna as well. 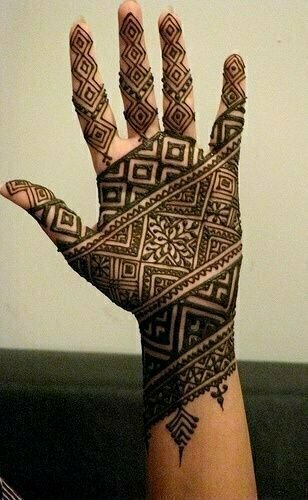 This oldest fashion accessory of the world is being used in the world since ancient Egyptian time. 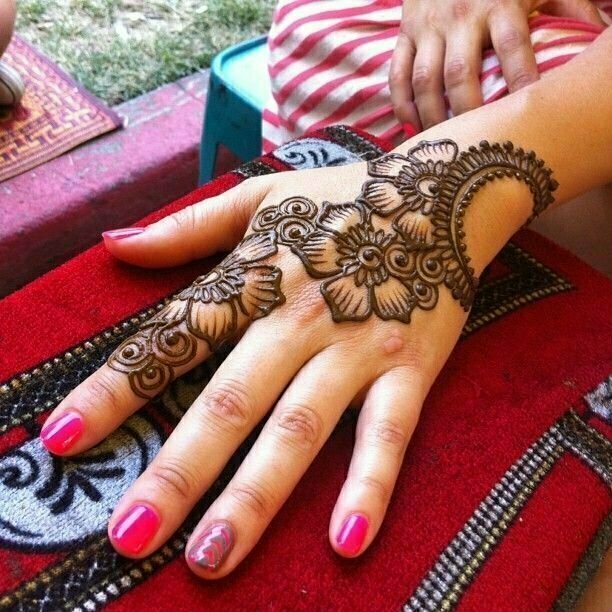 In ancient time, Egyptian use to apply henna to keep their body parts cools against the heat of the desert. 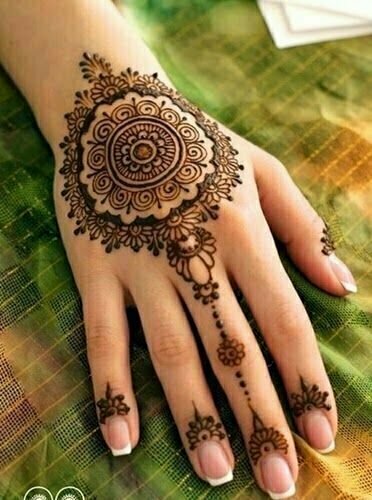 Later on, it started to become the fashion, and now it is the time that the women cannot think off without it. 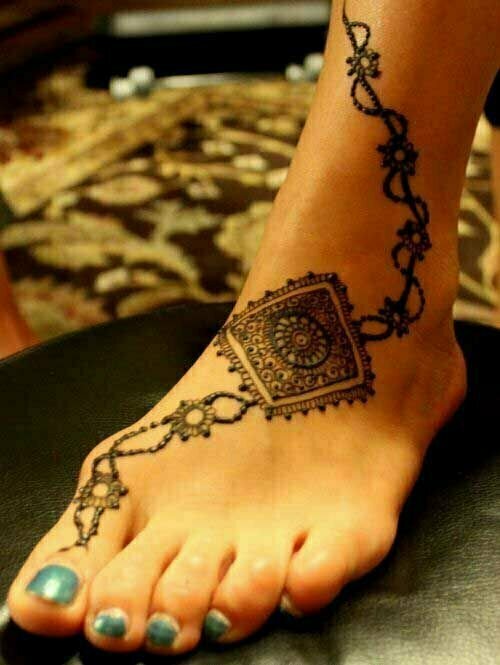 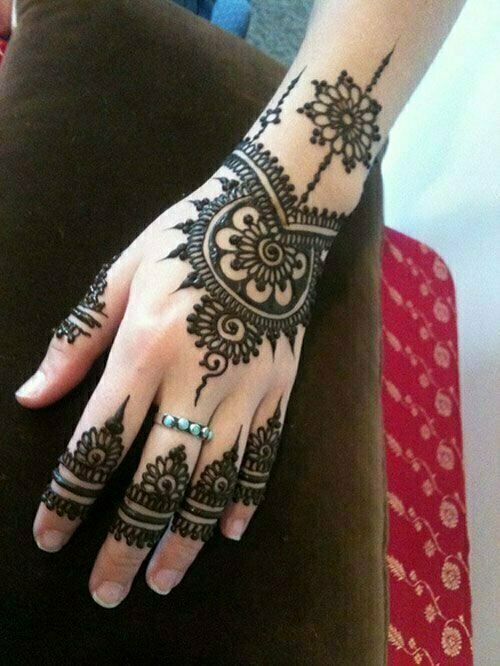 Years and years have been passed, and developments have been being made continuously in the style and pattern of henna. 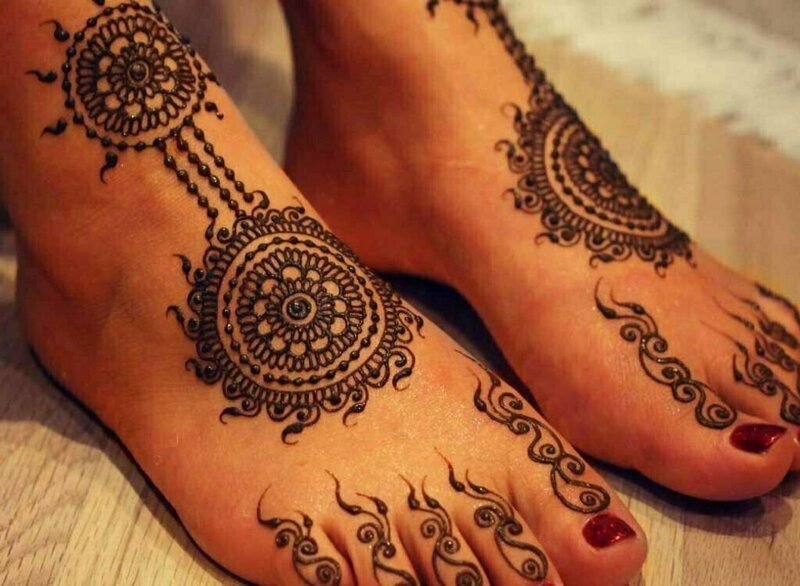 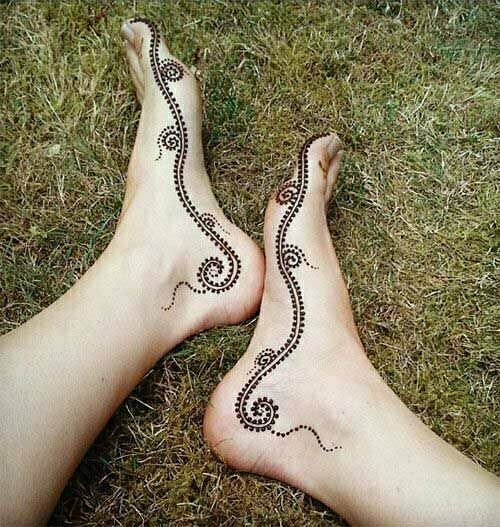 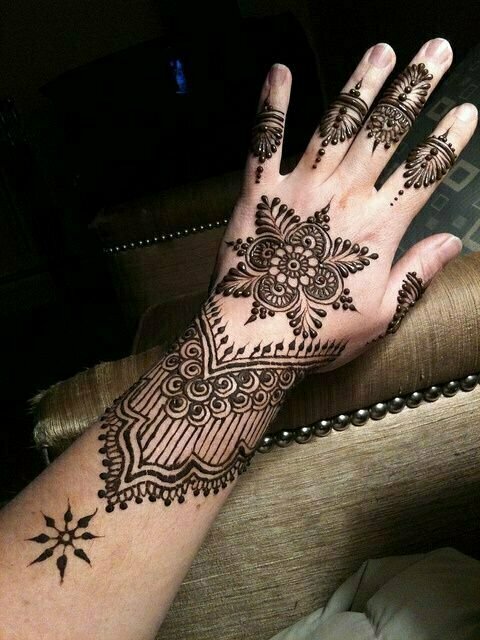 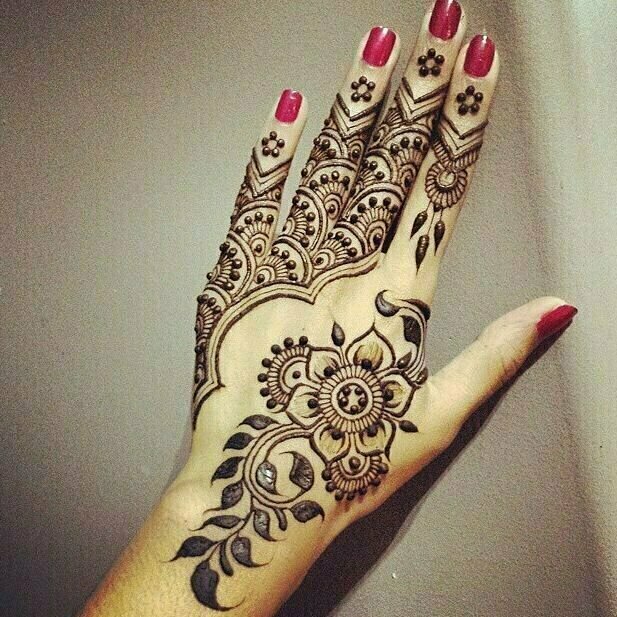 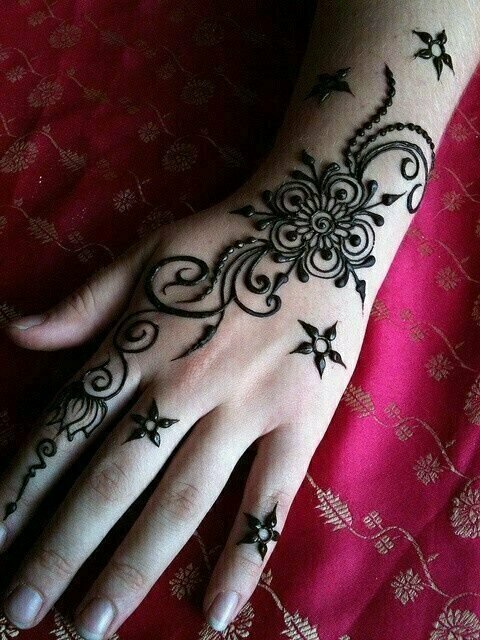 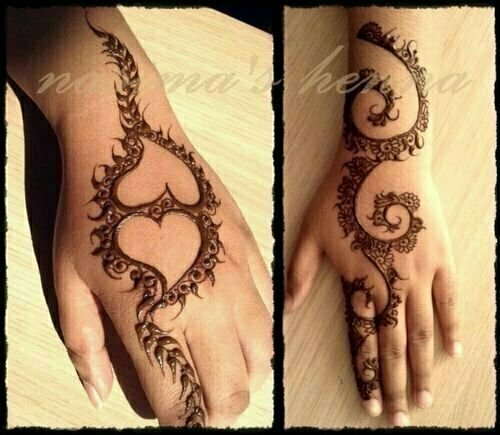 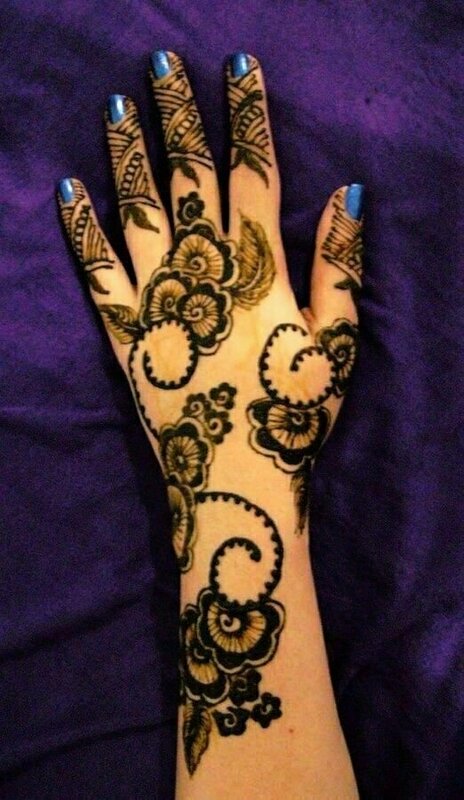 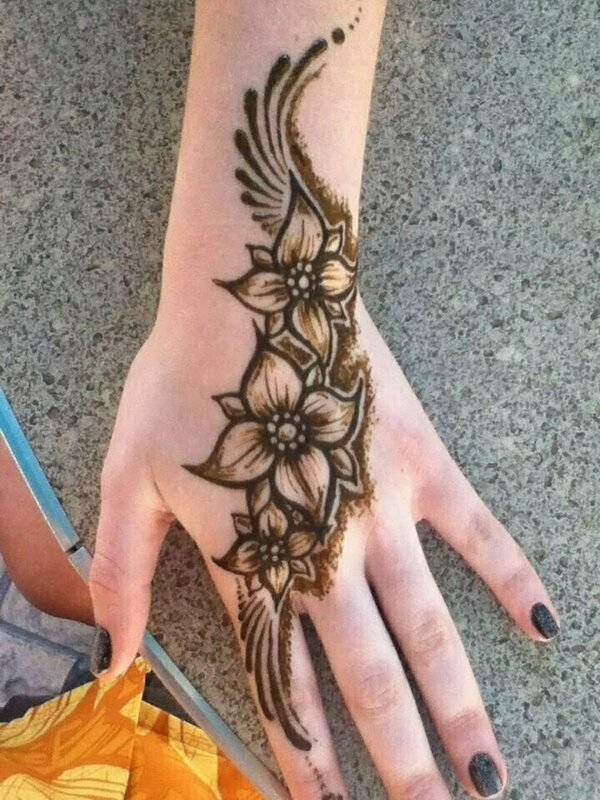 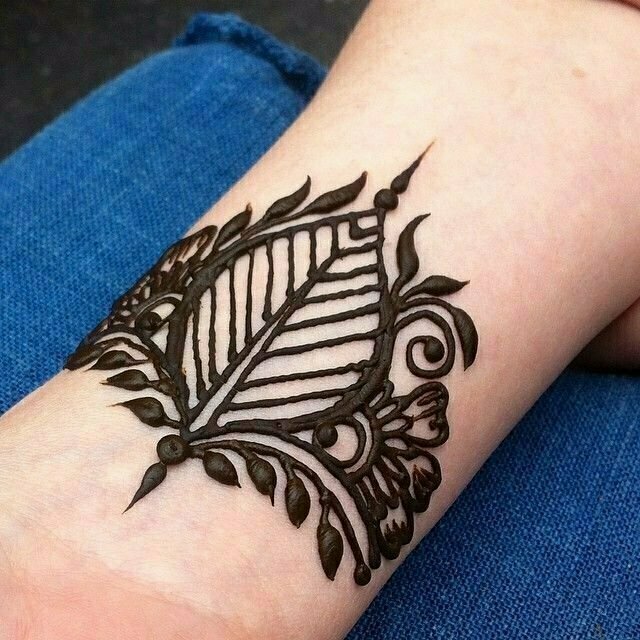 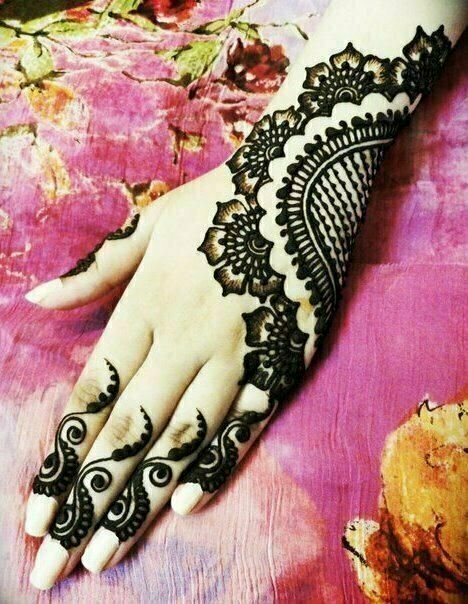 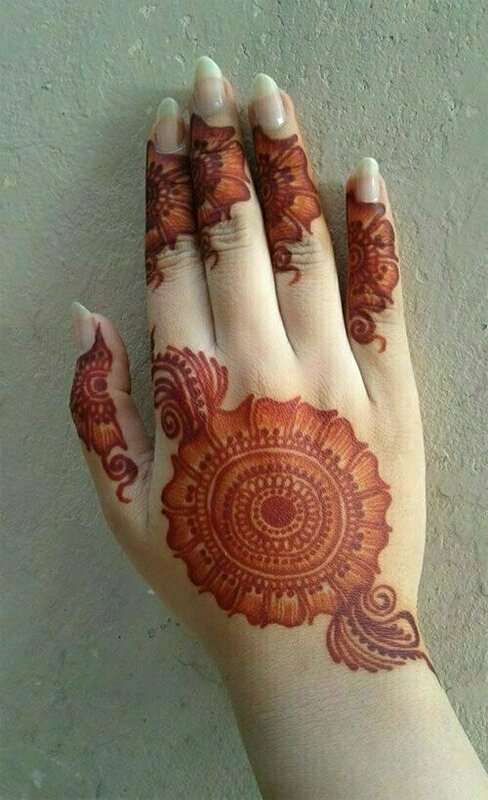 Now there are many hennas or mehndi designs in which most popular are peacock henna design, heart henna design, and floral henna design. 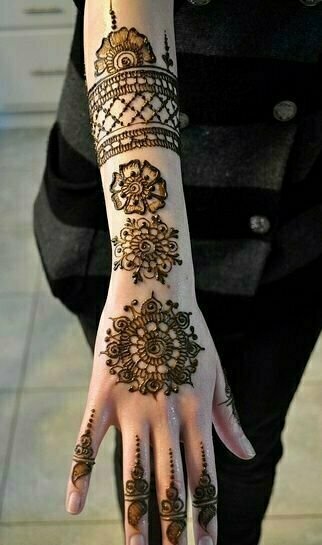 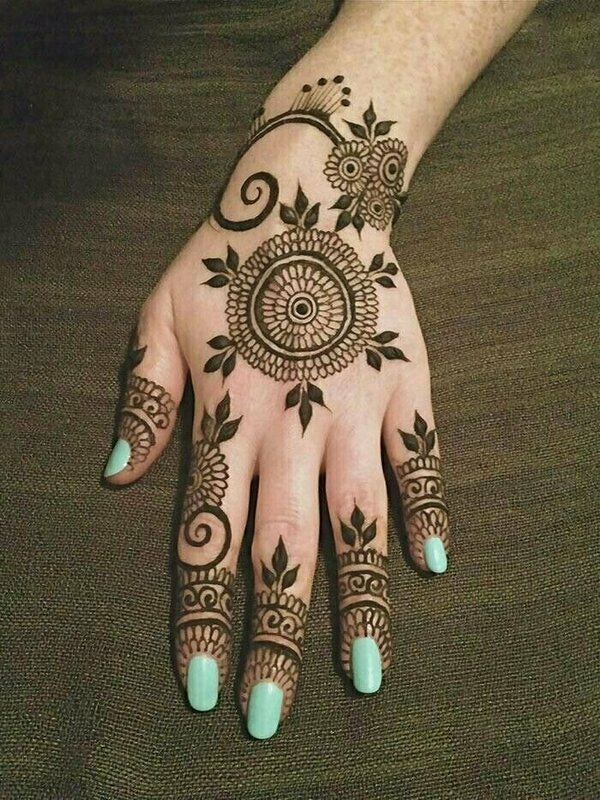 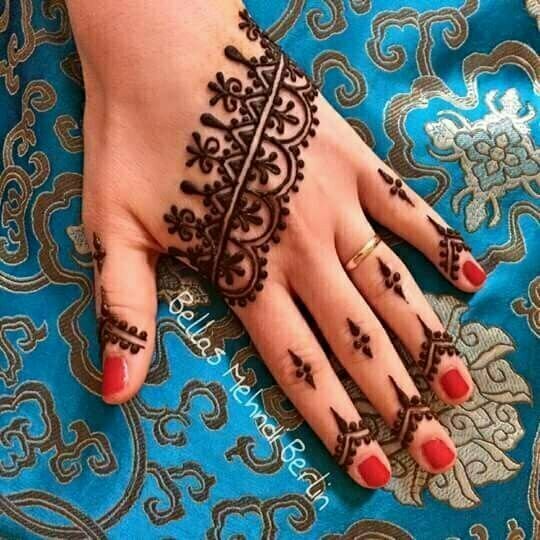 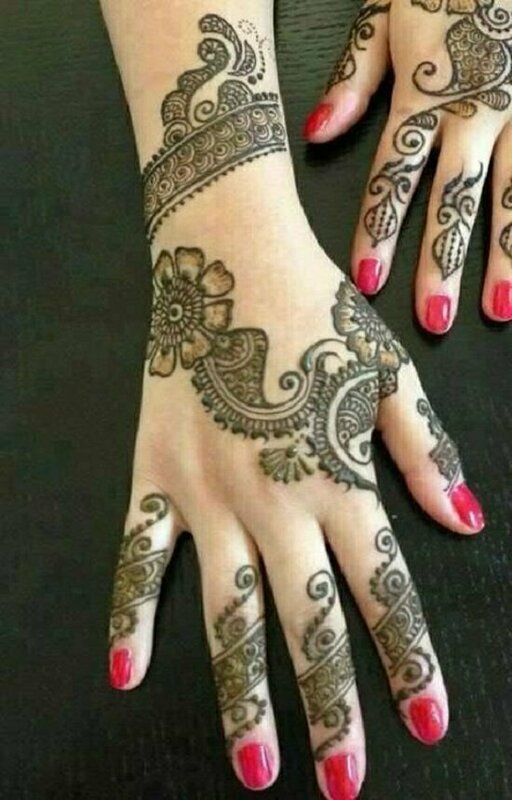 The pattern of henna design varies from region to region, but now it is common practice to adopt the henna design of other countries as well. 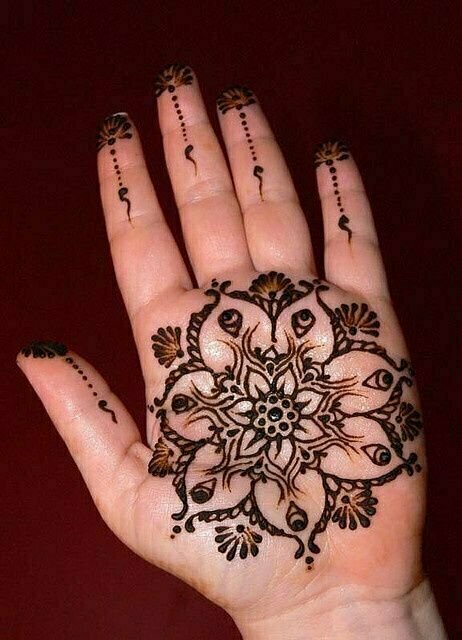 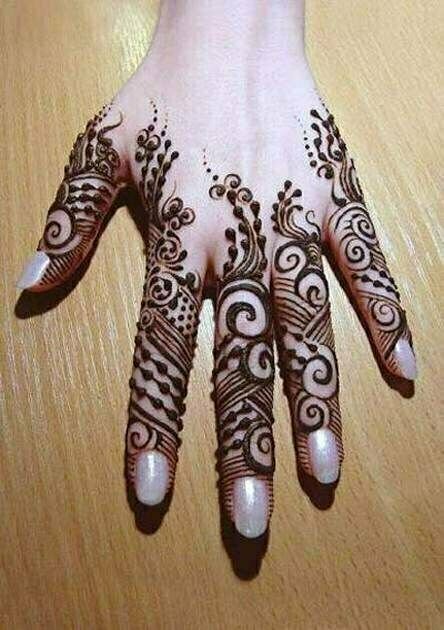 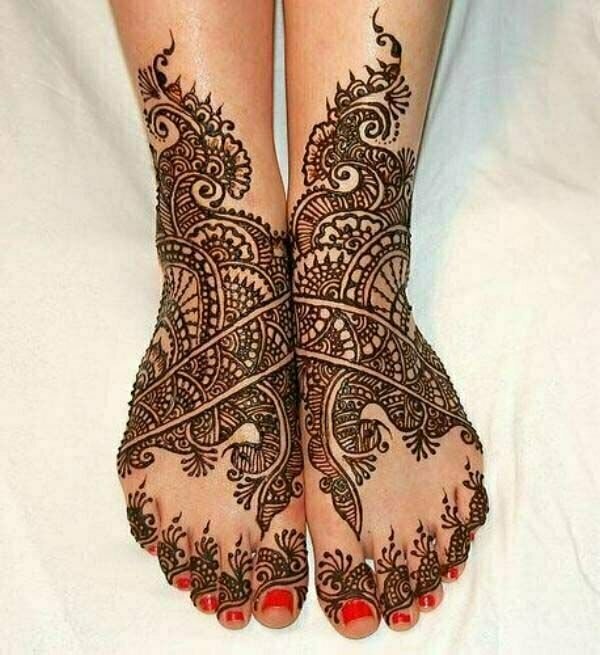 Here we are listing some henna or mehndi design for hands and feet that you can make by using black or red henna depending upon your choice. 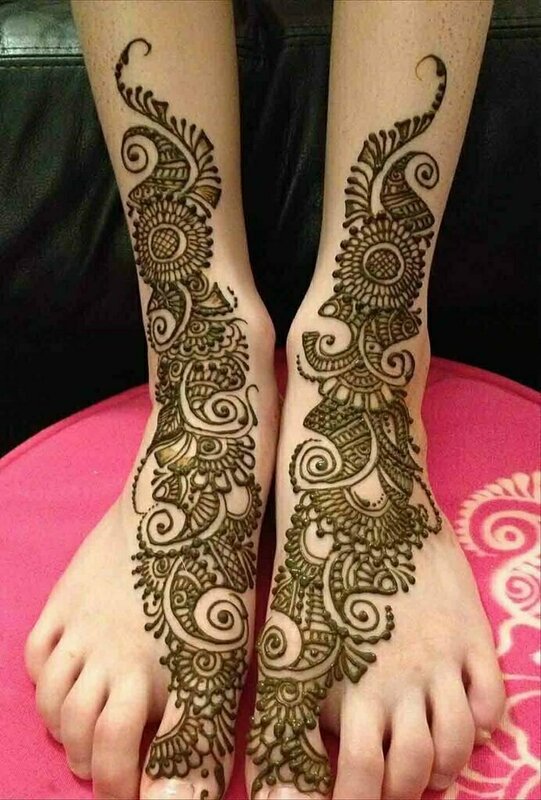 Most of these are easy to apply while many require an expert to apply in the same order shown in the images.